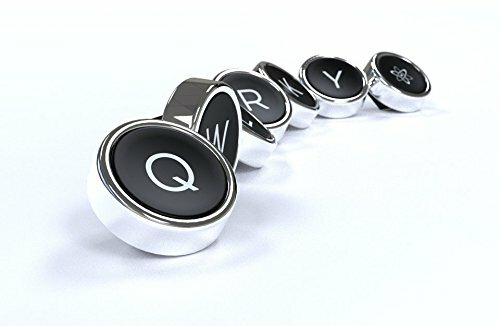 The Qwerkywriter Wireless Mechanical Keyboard is a combination tablet stand and Bluetooth Keyboard. 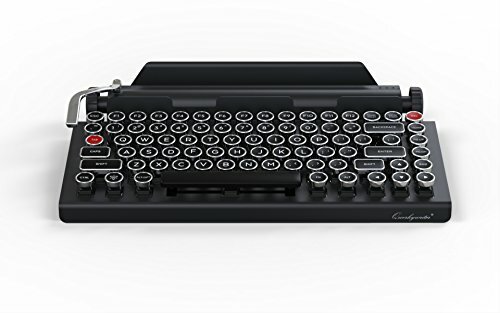 Its retro style features vintage-inspired round typewriter key caps, and metal construction. 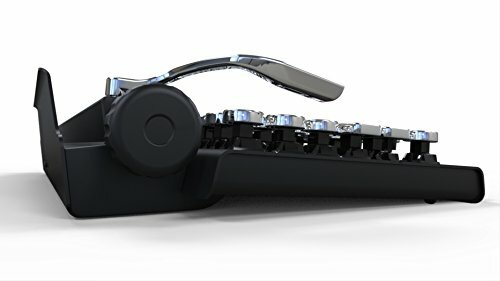 Combined they make it look like a typewriter from the 1920’s. Well, if you ignore the ultra-modern tablet sitting on top of it, anyway. 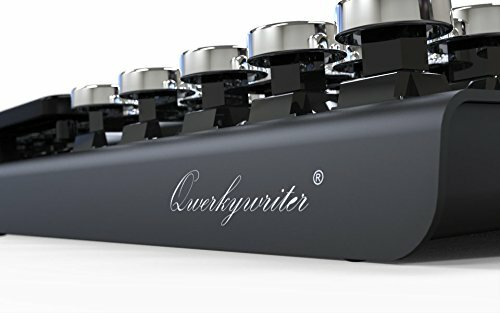 The Qwerkywriter features industrial-strength mechanical switches that provide a unique “clicky” tactile feel. It even has a solid metal, chrome plated Return Bar. By default the bar functions as the Enter key but, it is programmable if you want to make it to do something else. 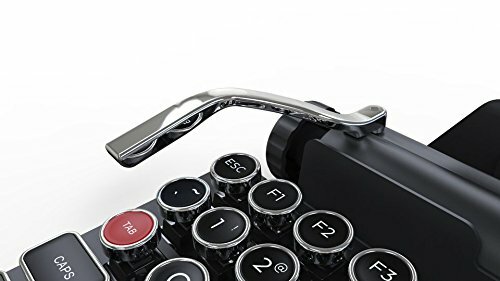 In addition to being all retro-cool, it will help you type better. Believe it or not, mechanical keyboards tend to be more accurate and the clicky-click-click feel is both satisfying and fun! All you have to do is pair your tablet via Bluetooth, place it in the slot, and start typing away. It’s most approperiate if you are writing old-timey stuff but, I guess it would work just fine for a term-paper too. Dimensions: 13 x 7 x 2.5 inches. Accommodates: iPads, Surfaces, and Android Tablets up to 10″ wide and 1/2″ thick. At least you don’t have to worry about the keys getting bound up if you type too fast.